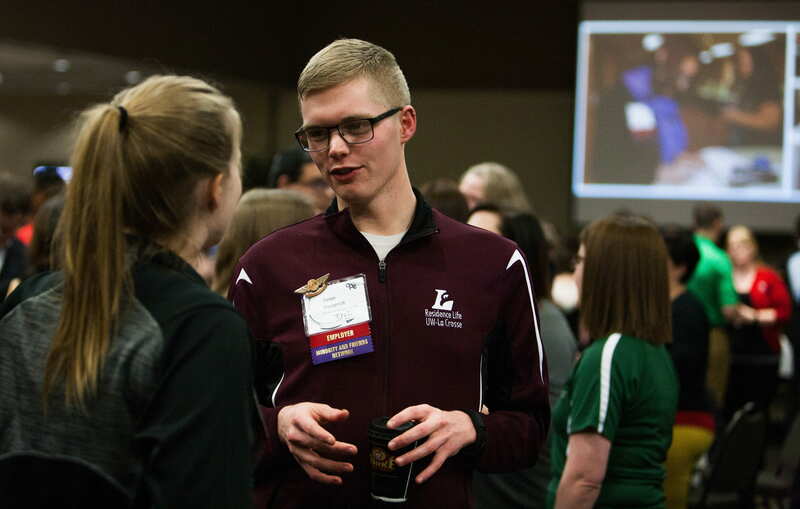 The Oshkosh Placement Exchange is excited to offer a social that will take place on Saturday, March 2nd from 7 pm to 10 pm at the Oshkosh Convention Center. The idyllic setting of the Oshkosh Convention Center will welcome all candidates and employers to relax on Saturday night and enjoy the company of old and new friends! We invite you to enjoy wonderful food, beverage, music and conversation away from the interview setting! 1. Shuttle service will be provided from the UW Oshkosh Campus to the Oshkosh Convention Center. The shuttle service will run continuously from 6:30 pm to 10:30 pm. You may pick up the shuttle at Gruenhagen Conference Center, and the drop off point will be the main entrance to the Oshkosh Convention Center. Return shuttle service will be provided back to campus as well. 2. There will be a coat room at the Oshkosh Convention Center. This year’s coat room will not be staffed by UW Oshkosh employees, but rather will be a self-check coat room environment. UW Oshkosh is not responsible for lost or stolen items from the coat room. 3. You will need to wear your Oshkosh Placement Exchange name tag to gain admittance to the social. Yes, the Oshkosh Placement Exchange can be stressful and nerve wracking at times, but it can also be fun at the same time. OPE strives to create a balance in which every employer and candidate feels welcome and creates opportunities for all to relax and enjoy the company of old and new friends. 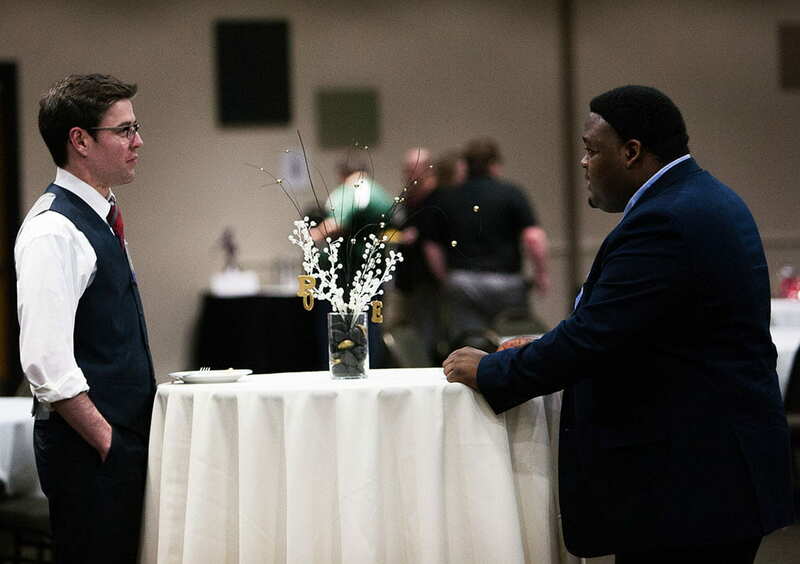 The OPE Social, held on Saturday night, is a casual social event for all candidates and employers to relax. Enjoy wonderful food, beverages, and conversation away from the interviewing. Employers: Are you looking to plan a social for your institution? CLICK HERE for more information.